CLOSER has been awarded a new grant to bring to light opportunities for longitudinal research in the developing world. The new initiative, CLOSER International, is funded by UKRI’s Global Challenges Research Fund (GCRF). The GCRF is a £1.5 billion fund announced by the UK Government in late 2015 to support cutting-edge research that addresses the challenges faced by developing countries. The fund forms part of the UK’s Official Development Assistance commitment, which is monitored by the Organisation for Economic Cooperation and Development (OECD). CLOSER International will focus on building an enhanced directory of longitudinal studies in low and middle-income countries. It capitalises on the expertise developed in the creation of CLOSER Discovery, a unique search engine of longitudinal data available in the UK. The project is being led by Dr Francisco Oteiza, Senior Research Associate at CLOSER. Dr Oteiza joined the organisation in July 2018, having previously worked as a Project Research Officer at the Institute for Fiscal Studies (IFS). His work will be supported by an advisory group of leading international experts with experience in funding, production and management of longitudinal studies in low and middle-income settings. Dr Oteiza sets the scene for CLOSER International’s work in his latest blog. He highlights the challenges in conducting international comparisons, but emphasises the wealth of research opportunities that could be possible. CLOSER’s work builds on the IFS’s Low and Middle Income Longitudinal Population Study Directory. 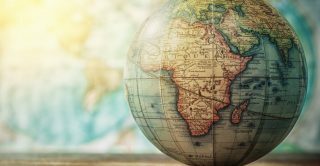 The IFS directory was launched in September 2017, and offers top-level information on studies from Africa, North America, South America, Asia and Europe. CLOSER’s directory will go further, linking studies with the data archives or catalogues in which they are included, and incorporating questionnaires, variable level information and details about the conditions of access. The objective is to enhance the discoverability of existing studies, while accounting for varying levels of completeness of documentation, access policies and ethics standards. In the first stage of work, Dr Oteiza and the CLOSER team will develop a Beta version of the Catalogue, including a small sample of studies. This will inform the structure and format of a future enhanced directory. The project is set to run from July 2018 to June 2021. For more information on CLOSER International, please contact Dr Francisco Oteiza at f.oteiza@ucl.ac.uk.